In 1818, Madame Clicquot transformed Champagne forever. By adding red wine to the white Yellow Label NV, she created the first ever blended rosé champagne: Veuve Clicquot Rosé NV, a fruity and full-bodied pink expression of the famous house style. 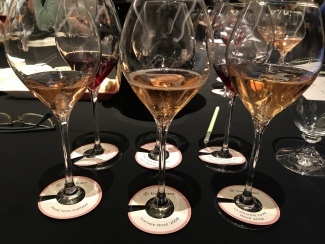 Although revelatory at the time, this method of blending red and white wine was quickly adopted as the standard technique for rosé champagne production and, remarkably, is still the most common practice 200 years later. Back then it was elderberry juice added to the champagne, today the use of red wine is more of an art form and a very technical process that contributes different attributes to each tier of rosé that Clicquot produce. To celebrate the 200th anniversary of Madame Clicquot’s invention, the house hosted both a magnificent dinner at the famous Manoir de Verzy in Champagne back in March, and an educational tasting at The Soho Hotel in London this week. Fortunately, we were lucky enough to be invited to both. 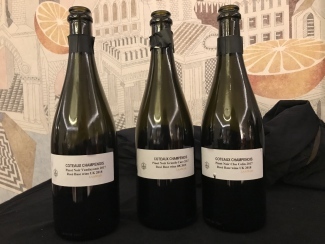 At the tasting event in London, winemaker Pierre Casenave introduced the challenge of producing red wine in Champagne. “We have to think very differently… it is not the same as Bordeaux… we [in Champagne] have to be very gentle and precise, a touch of bitterness can destroy it all,” he said. 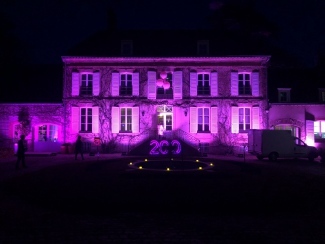 Although a difficult task, Casenave acknowledged that it is an interesting challenge and one that Clicquot are well positioned to approach – they have unique access to some of the best sites for red grapes in Champagne. 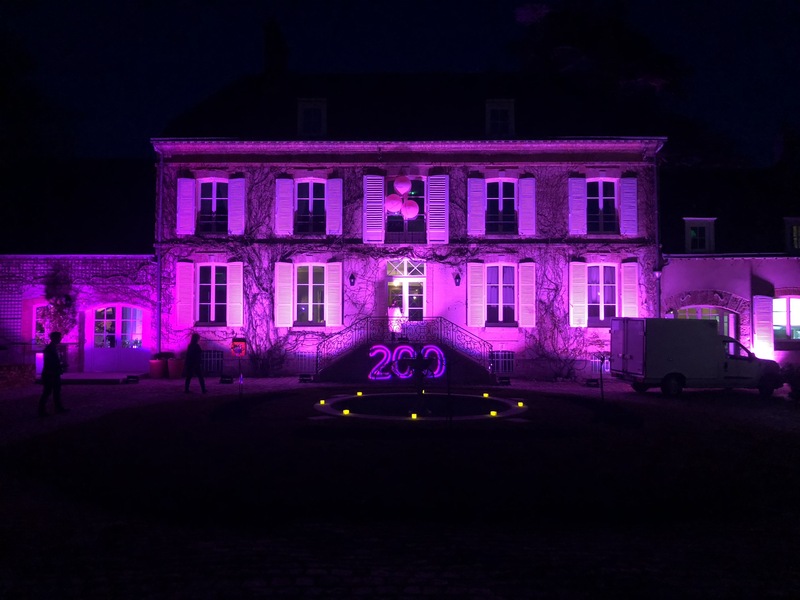 Of their 393 hectare estate, they own 29 hectares devoted solely to red wine production in the Grand Cru village of Bouzy, along with a few smaller parcels in Ambonnay, Aÿ, Verzenay and Verzy. Around 25% of their red wine requirement is supplied by their own vineyards, the rest is bought from Les Riceys – the largest vineyard area in Champagne, famous for having its own rosé wine. 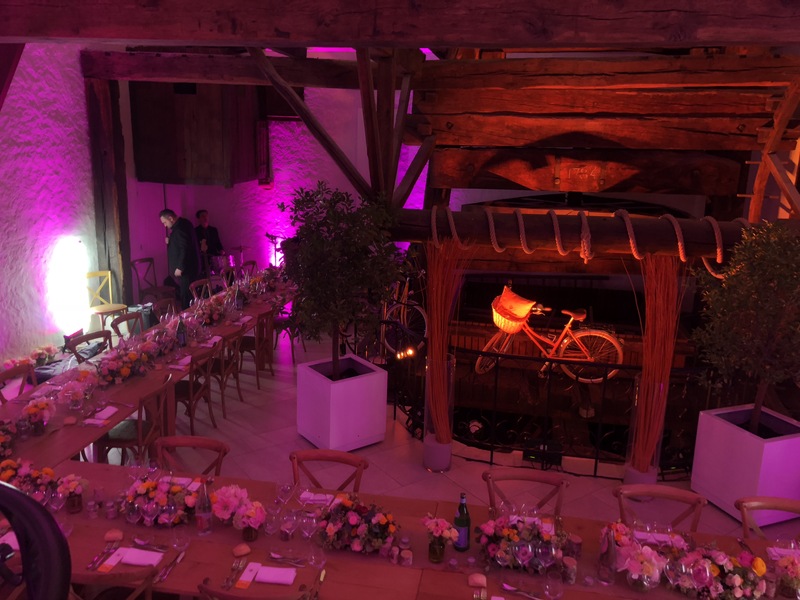 Clicquot have also recently opened a new winery in Aube for red wine, although with just 200hl capacity, production volume is currently quite low. “We take a Burgundian approach to red winemaking,” Casenave told us. This involves 2-4 days of cold maceration to encourage the development of fresh aromas. For this process, Clicquot use wide stainless steel tanks to increase the contact between skins and the juice. Each tank has its own pushing mechanism to circulate the skins, although gentle movement is key to prevent over extraction which could lend an undesirable bitterness to the finished wine. “We don’t want heavy red wines, we want colour and fruitiness,” Casenave added. Clicquot produce three qualities of red wine for each three tiers of rosé champagne: non-vintage, vintage and prestige cuvée. Each wine has a very different character; it is the winemaker’s job to anticipate the ageing potential of each. The three we tasted were all produced in 2017 from grapes grown in different plots in Bouzy. The first, which will be used in the non-vintage rosé, was from the Vaudayants plot and was much lighter and fresher than the others. The second, destined for a vintage rosé blend, was from the Grande Cure plot and had more concentration of fruit and peppery spice. The third, of prestige cuvée standard, was from the prized Clos Colin plot. This 1.6ha vineyard contains 26 year-old Pinot Noir vines and consistently produces the best Clicquot red wines, characterised by a deep colour and a dense, silky and more intense structure with soft but present tannins. Quite forward black cherry and some strawberry notes with just a hint of eucalyptus. Some raspberry comes out on the palate, light and crisp and with spice like cinnamon. Nice spice edge to the strawberry fruit & can see the extra personality compared to previous. Concentrated and the tannins are right there. Good texture, quite silky. Hint of eucalyptus again. Quite full-bodied but needs time, a touch aggressive now. Quite concentrated and spicy, loads of strawberry, blackcurrant and red cherries. Some citrus hints, ripe red apples, good freshness and concentration. A hint of plums on the palate and a soft, juicy texture with plenty of spice. Casenave told us that the Clicquot team are focusing on improving the first, pre-fermenation, phase of production. “When at a low level of alcohol, we taste 4-5 times a day to ensure we don’t over-extract the juice,” he said. After fermentation, the wines go to the production centre in Reims, where each parcel is kept separately in stainless steel tanks sized specifically for that plot. “Red reserve wines are kept for no more than 5 years,” Casenave said. After this time, the colour can easily change going more brown and the wines begin to oxidise. “Most are used within 3 years,” he added. Armed with a better understanding of the base wine ingredients and production methods, we sampled a range of rosé champagnes made with Madame Clicquot’s 200-year old blending technique. We started with Veuve Clicquot Rosé NV, which is simply the Yellow Label NV blend with 12% red wine added. 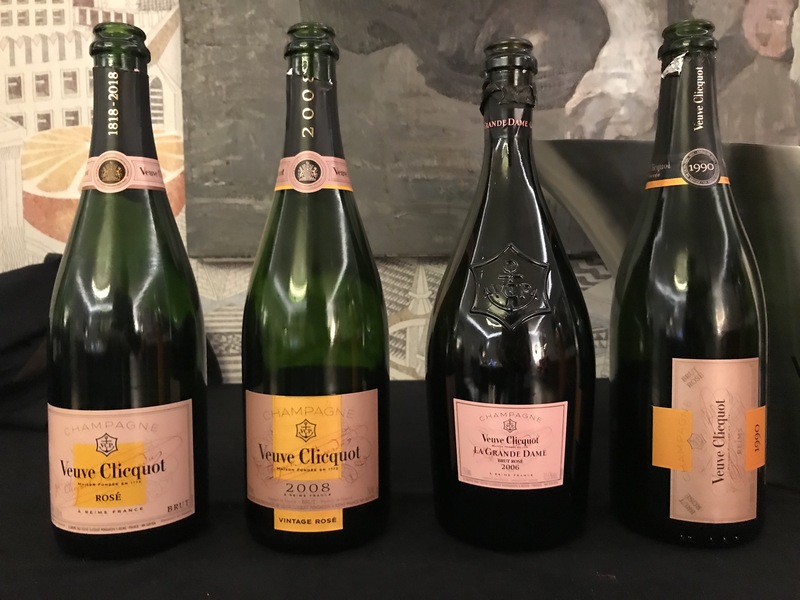 Clicquot recently decided to stop making half bottles (37.5cl) of Rosé NV as they do not adequately express its quality since they age fast in half bottles. 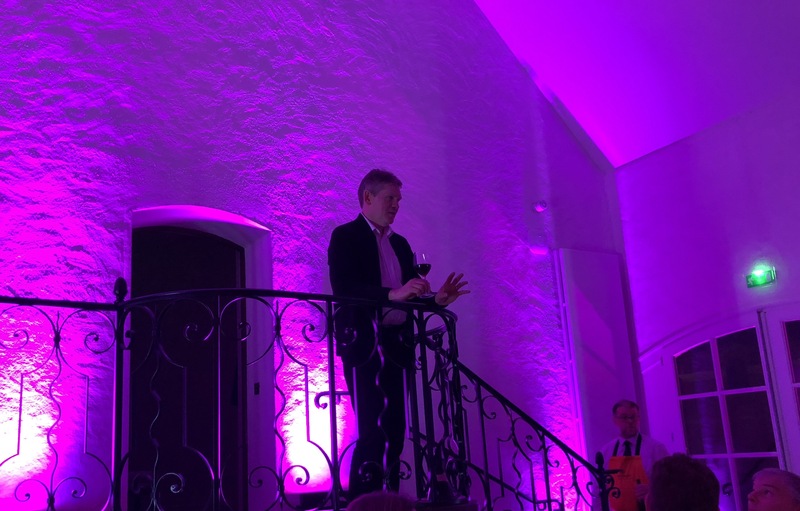 However, in honour of the 200th anniversary of rosé blending at Clicquot, the house announced they will be bottling their Rosé NV in Jeroboams. The first ever Jeroboam was opened during the celebratory dinner at Manoir de Verzy. Introducing the Vintage Rosé 2008, Casenave informed us that vintage production is very limited. 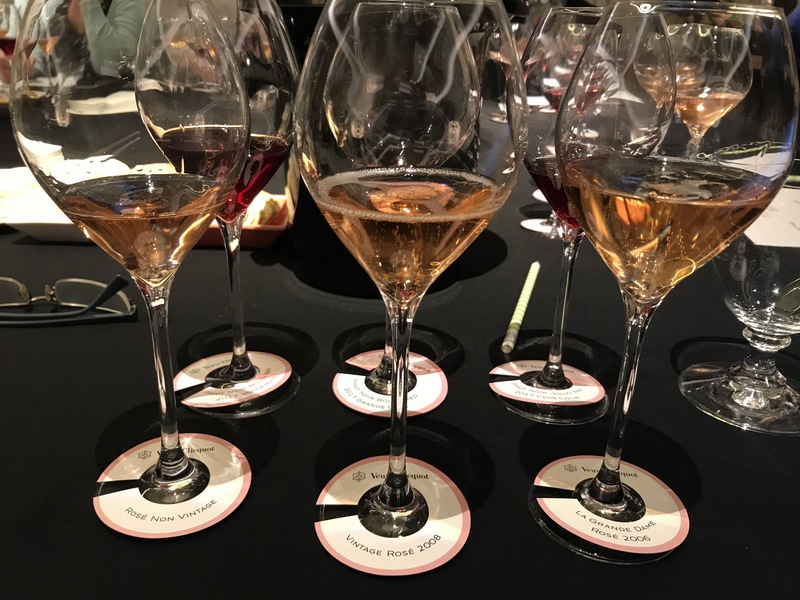 “[Vintage] rosé is small and rare. We would like to make more, but we are restricted by the vineyards and the amount of red wine,” Casenave said. Although the 65th vintage year in the history of Veuve Clicquot, 2008 was just the 21st vintage of rosé champagne. In 2008, for the first time, 5% of the wines were produced and aged in wooden casks from forests in Central France, to increase the complexity and aromatic richness. Our final champagne tasted with Casenave was a bottle of Cavé Privée Rosé 1990. A blend of 17 different villages, all classified Grand and Premier Cru, the additional 17% red wine is a blend of the Clos Colin and Grande Cure plots. Despite being nearly three decades old, this champagne is showing incredibly well – with fizz and freshness in abundance still. We have both bottles and magnums of the stunning Veuve Clicquot Cavé Privée Rosé 1990 available. 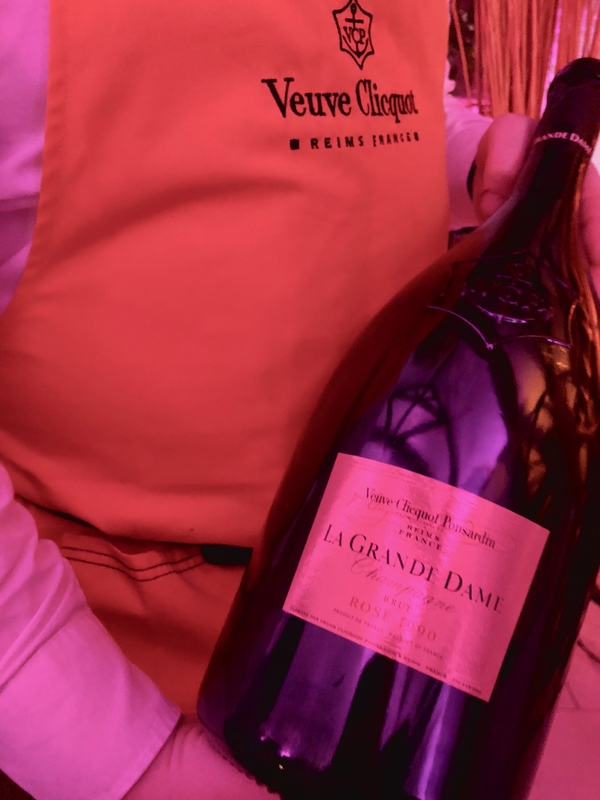 To top off a sublime dinner at the Veuve Clicquot mansion in Verzy, guests shared a Jeroboam of Veuve Clicquot La Grande Dame Rosé 1990. If something magical happens to champagne aged in magnum, the effect is even more pronounced in Jeroboam. 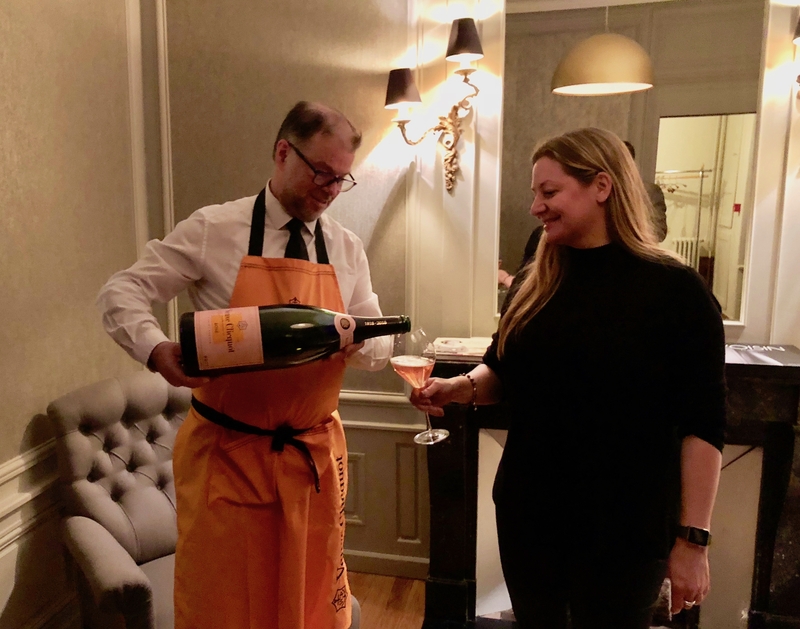 With all the complex development to be expected from over two decades of lees ageing and the youthful vibrancy from Jeroboam maturation, this was a truly special champagne and a fitting tribute to the legacy of Madame Clicquot.